Choices which you make every day including today or tomorrow can either help you to retire or prevent you from doing it. Retirement is based on the small and large financial decisions you made day in day out. Planning for retirement early can put you at a better position because you got to save up more if you start the planning at a later stage. Some who know this truth will beat themselves up for not doing any planning earlier while others will just panic and never face the reality. It’s not too late if you start to plan today because starting late is better than never get started at all. Refusing to do any planning will just increase your fear and panic. Retirement is a journey, not a destination. It is a journey made easier by using the right tools, having patience, and a willingness to face up to your fears. Sound retirement advice begins with good financial advice. If you want to retire, there is a need to build a financial shelter that can weather any storm. Your retirement is a journey, so it is time to take the first step! Thai Insurance Commercial - "My Girl"
Er, what is a traded life policy? 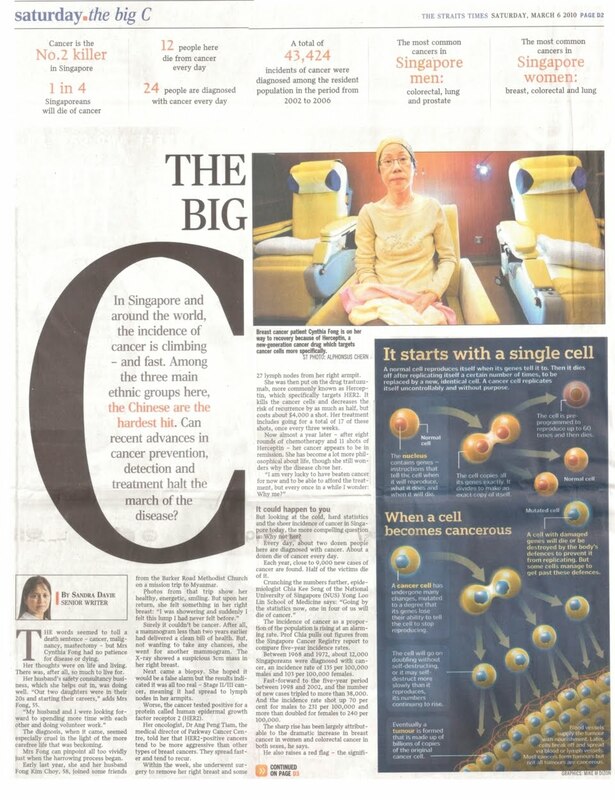 According to the cold, hard statistics, every day, about 24 people in Singapore are diagnosed with cancer. Then about 12 people die of cancer every day. Close to 9,000 new cases of cancer are found each year, then only half of them manage to survive. You Need Financial Help. Now What? Finances and money are not like food, where failure to follow a recipe or using bad ingredients can leave a bad taste in your mouth. You can throw away a lousy dish and forget about it by the time your next meal arrives, but bad financial mistakes will be with you for years, and possibly for the rest of your life. Go back to basic need for help. People want things running right, safe and protected, so that everyday life is without worries on either a messy problem or a personal catastrophe. You cannot expect an auto mechanic to change your car from a Japanese car into a Porsche or Lamborghini, you expect them to help you keep the car running properly so that you can reach your destination and make the journey to wherever you want to go. That is what financial planner does; help you to make the journey from where you are to where you want to go. Over a lifetime, you will need to manage investments, amass university and retirement savings, work out and secure loans, buy or sell property, insure your home and other possessions, protect your home and family from catastrophic losses, having a plan to pass your life’s work to your beneficiaries. So say hello to a financial planner. What people want from a financial planner is “emotional discipline”, the ability to put together a sensible plan and stick with it through thick and thin. Financial planner does not just determine the strategy or pick the investments, financial planner provides the hand-holding necessary to see the plan through tough economic and market times. Will you money last as long as you do? Every retiree wants to know that he will be financially secure for the rest of his life. Sources like CPF , annuities, dividends, rental income, investment accounts will be sufficient for you to live on if you spend less than you receive (Outflow does not exceed your inflow). As long as your inflow increases year after year to keep up with rising costs (inflation), you will have enough money to live on for the rest of your life. It’s that simple. No worries. Case closed. They shopped around for a financial planner and found one who was happy to help them reach their 10% goal. They chose him over the second planner because the second planner told the couple that they would have to spend less than they planned because he could only promise them 3% per annum instead of the 10% per annum which they requested. This scenario is happening every day. Different planner will give you different answers. Many people will go with planner who presents the more optimistic outlook as they chose the rosier view. In a bid to seal the deal, the planner may even provide references from happy clients who have withdrawn 10% or more from their savings for a number of years. However this does not mean he can deliver it for you. 2) how does he plan to do the same for you? Listen carefully to the types of investments used to achieve his prior performance and consider whether those investments are able to be as effective for today’s financial climate. Be wary of going with planner who promises you big results based to prior performance. The strategies used for his past clients may not make sense for today’s financial climate. Survivors of cancer mention that cancer treatment can amount to tens of thousands of dollars which easily drain their Medisave savings as well as accounts of their spouses and family members. 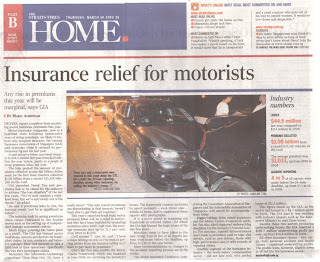 CPF MediShield Insurance can be use but there are limits on the claimable amount. Doctors are advising Singaporeans to buy insurance coverage while healthy and to ensure good coverage for critical illness such as cancer. As scientists are able to develop new drugs to block cancer cells, there will be longer patient survival. But the problem of affordability will kick in. Five months of treatment can cost close to $80,000 and one survivor had to use most of his retirement savings to afford it. Cancer survivor who wiped out the bulk of her husband’s and her own Medisave urge their friends to insure themselves while they are healthy. 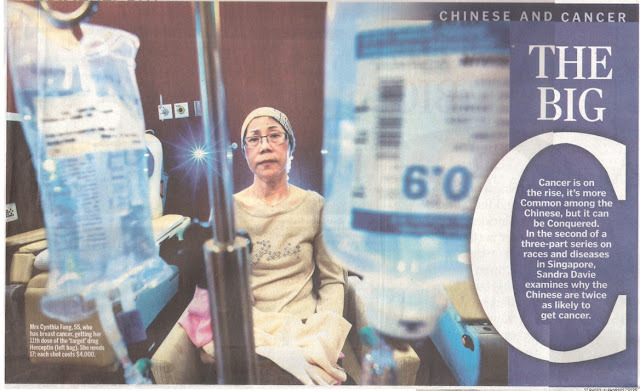 Survivors are leading a new lease on life but it comes with a price tag of about $100,000 and still has to fork out at least $30,000 more for Herceptin shots which costs as much as $4,000 per shot. A real or best friend is always sincere -- they don't necessarily always be polite but they will always take care of you. The Thai loves someone who is sincere. You can see from the ad that the insurance salesman is just like your best friend, and will make sure that you fully understand everything before signing a policy with you. This guy is the best salesman ever. Banks are pushing down interest rates which are good news for home owners and investors looking to re-price or refinance their home loans. But you must still be prudent and watch you debt servicing ratios. Getting into a long fixed rate contract too quickly might not be a good choice as the differential in servicing costs with a floating and fixed package can be substantial. 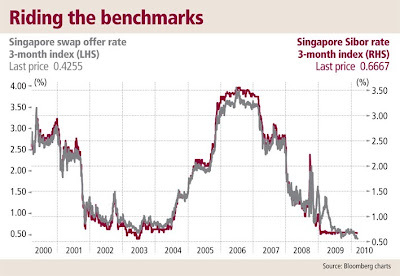 Sibor (Singapore interbank offered rate) or SOR (Singapore swap offer rate) rate will not move up too quickly or too much unless we see an inflationary scenario in our economy. Home owners are being advised to take a long term perspective for your home loans, rather than going for the lowest price points. Have a budgeting done and know your limits. Interest rates are not going to stay this low. So do make sure you can still afford the loan when interest rates go up to 3 to 4 per cent. An ideal annual debt repayment over annual salary ratio should be less than 35%. Any percentage more than 45% is seen as excessive. Many of us are only too glad to bid farewell to 2008, a year marked by much fear and panic resulting from the financial meltdown. Across the globe, unemployment rose, petrol prices rocketed up (before easing slightly) and house prices plummeted. Financial experts warn of another tough year ahead. But just because the outlook is bleak, this is no time to bury your head in the sand and hope the sun is shining again when you pull it out. The start of any new year, let alone a year such as this, is an opportune time to dust down some of our old, longstanding financial habits, priorities and assumptions and make new resolutions. Here are 10 good money habits to help you do just that. The standard financial advice during ordinary times is to have sufficient cash set aside to cover at least six months of your monthly household expenses. With the current economic downturn, having six months may not be enough, says Ms Anne Tay, OCBC Bank's vice-president of group wealth management. This is because we should cater for contingencies such as pay cuts, involuntary leave or an unexpected job loss. Fundsupermart research manager Mah Ching Cheng suggests that a good rule of thumb is to save up to 12 months of your monthly expenditure, depending on how risk averse you are. This means that if your monthly expenditure is $2,000, a buffer of up to $24,000 would be a good amount to keep in a deposit account. 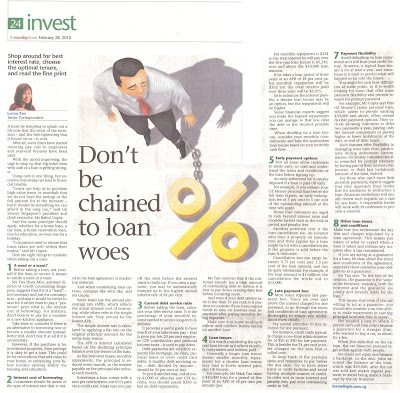 This is considered by Mr Patrick Lim, associate director of financial advisory firm PromiseLand, to be the most basic good money habit and tool to control your finances. A realistic budget that is drawn up and adhered to will go a long way towards helping one live within one's means. 'By keeping track of where every dollar is spent, the budget shows where the money goes to and how much is left over,' he said. 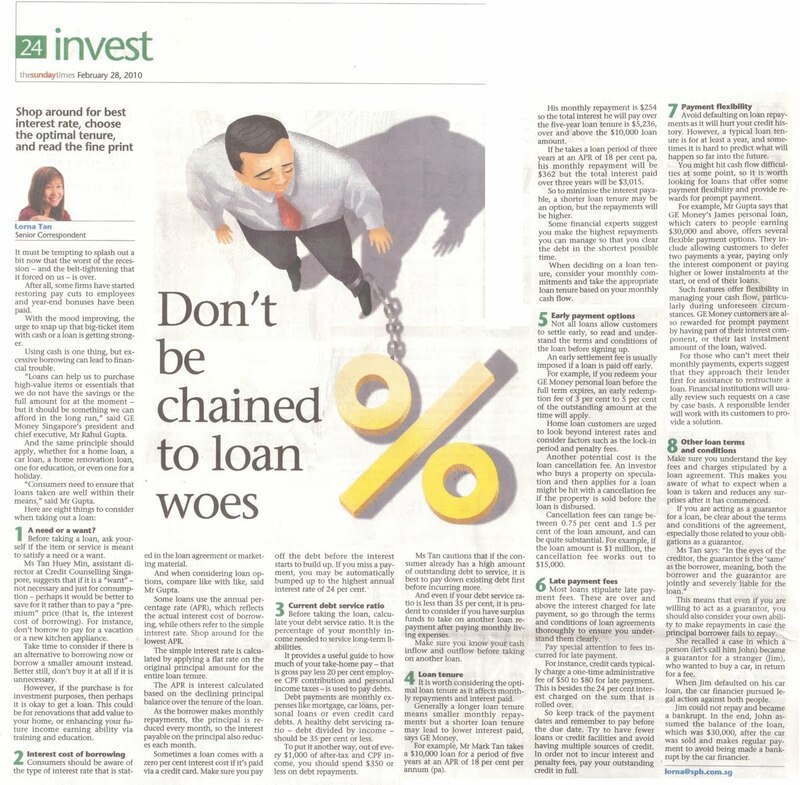 In fact, why not go a step further, raise the bar and pose a personal challenge to yourself to become debt-free within a reasonable timeframe, says Alpha Financial Advisers manager Cai Zong Zhen. Another tip is to review your budget every 12 months, or when your circumstances change, such as when you receive a windfall or inheritance, or when you have a new addition to your family. 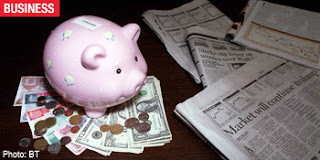 A related habit to budgeting is to adopt a disciplined approach to saving. Every month, allocate a portion your income to savings, insurance and investments to create wealth, before paying for your other expenses. Increase this portion when your income goes up, such as when you have pay increments or annual bonuses. 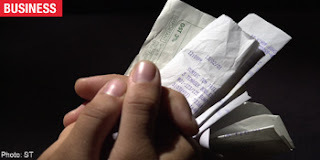 To up one's savings, Ms Tay recommends reducing 'wastage' in one's daily spending. For example, avoid impulse buying, dine out less and consolidate shopping trips. 'Buy in one go rather than make frequent shopping trips because you tend to spend less with fewer trips, and look for cheaper alternatives or substitute goods and services if you need to spend,' she added. When building your liquidity, look out for regular savings plans that pay higher interest rates. Examples are the OCBC Monthly Savings Account and DBS Bank's MySavings Account. The former allows customers to set aside monthly amounts from a minimum of $50 to a maximum of $5,000. For savings below $800, the interest rate is 1.08 per cent a year. For savings from $800 to $5,000, the interest is higher - 1.48 per cent a year. The tenure is fixed at 24 months and the rate remains unchanged during the two-year period. Customers cannot change the monthly contribution amount once it is committed, but they can save more on an ad hoc basis. For the additional amount that they save on top of their monthly commitment, they get interest of 0.8 per cent a year instead. The full amount, including the additional savings, can be withdrawn only at the end of the 24-month period. DBS' MySavings account offers greater flexibility in terms of the monthly savings amounts and the tenure. Customers can choose to save a minimum of $50 to a maximum of $3,000 monthly and there is no fixed tenure, so a customer can opt to save for as long as he wants. The interest is paid monthly. For amounts between $50 and $290, the interest is 0.45 per cent a year; for $300 to $790, it is 1 per cent; for $800 to $1,490, it is 1.2 per cent; and for $1,500 to $3,000, it is 1.5 per cent. 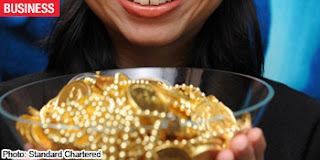 DBS Treasures customers, or those with at least $200,000 with the bank, enjoy higher rates of 1.3 per cent, 1.4 per cent, 1.5 per cent and 1.6 per cent respectively. But do note that there's a penalty for withdrawal. The monthly interest on the total balance will earn the first-tier interest rate when there is a withdrawal, a failed deduction of the monthly savings amount or if the account is closed during the month. This has become more important with the financial turmoil, says Ms Tay. Her advice is to avoid using credit as people tend to spend less when using cash, since cash transactions have the psychological effect of helping to curb unnecessary expenditure, compared to 'plastic' or other non-cash transactions. In fact, use this opportunity to calculate your debt servicing ratio. This is basically a guide to how much of your take-home pay - that is gross pay less 20 per cent employee CPF contribution and personal income taxes - is used to pay debts. Debt payments are monthly expenses that you are committed to, such as your mortgage, car loans, personal loans or even credit card debts. A healthy debt servicing ratio - derived from debt divided by income - should be 35 per cent or less. 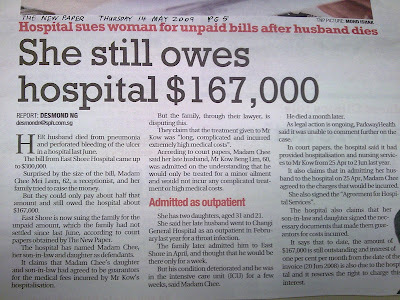 To put it another way, out of every $1,000 of after-tax and CPF income, you should spend $350 or less in debt repayments. If you have to spend via credit cards, adopt the habit of paying your bills in full each month. Avoid rolling over your balance and accumulating debts at a high interest rate of 24 per cent a year. For instance, if you have a credit card bill of $10,000, the interest payable at that rate for six months will be $1,200, plus any late finance charges you may also incur. A recent study by British insurer Aviva on savings attitudes indicated that Singaporeans have a short-term outlook of five years or less when it comes to financial planning. The insurer advised Singaporeans not to neglect their long-term savings and investment needs when faced with the current short-term economic challenges. Another reason to take the long view regarding investments is that the current crisis may drag on longer than expected. Also, be aware of the possibility that you may not be able to unwind quickly to avoid suffering a loss, cautions Ms Tay. But exactly how many years constitutes a long-term view? Using historical data, Fundsupermart worked out the probability of getting positive returns against the number of years that investors stay invested. The findings suggest that the longer the holding period, the higher the probability of positive returns and the greater the expected return. This presents a strong case for having a longer holding period of 10 to 20 years when investing in the equity market. This means finding the optimal asset allocation that fits your risk profile. Asset allocation is an important factor to consider when restructuring your portfolio. Fundsupermart recommends investors who are more conservative to hold a portfolio with 80 per cent in bonds and 20 per cent in equities. On the other hand, an investor with a more balanced risk outlook should consider holding 40 per cent in bonds and 60 per cent in equities. Last year, bond funds outperformed equity funds. Therefore, the bond proportion of your portfolio is likely to have increased, given the crash in equity markets. As a result, rebalancing the bond and equity proportions in your portfolio to the initial weighting is necessary. For the equity portion of the portfolio, Ms Mah recommends a core and supplementary portfolio to better control risks. The larger core portion of the portfolio consists of the more broadly diversified regional equity funds (such as the United States, Japan, Europe, Asia ex-Japan and emerging markets), and the smaller supplementary portfolio consists of narrowly focused equity funds such as single-country or sector-based funds (such as Singapore, India, China and Malaysia). 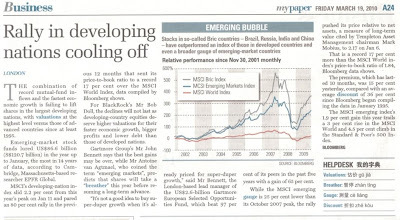 While the market was booming in 2007, you may have added a few of the higher-risk emerging market equity funds. However, now is the time to see if it is absolutely necessary to have so many of these funds in your portfolio. If you have five funds in your supplementary portfolio made up of individual Bric, that is Brazil, Russia, India and China equity funds, you should consider either redeeming the Bric fund or some of the single-country funds. The rationale behind this is to try to consolidate your holdings. As you boost the number of funds in your portfolio, you are likely to see overlaps between regions or sectors. You might even find that you are overly exposed to a certain region or sector. Fundsupermart uses three basic selection criteria for its recommended funds list. Firstly, it recommends only funds with a track record of at least three years. Secondly, it favours funds with lower expense ratios - what investors pay to the fund manager on an annual basis. For bond funds, low expense ratios could range from 0.25 to 0.75 per cent, depending on the nature of the fund. For example, emerging market funds and high yield bond funds typically have higher expense ratios. For equity funds, which are actively managed, a rule of thumb would be an expense ratio of 2 per cent and below. Finally, Fundsupermart measures the fund's resiliency during a market slump. Some funds are more resilient than others during times of volatility. To identify resilient funds, it scores them by looking at their performances during different time periods. For example, if they held up well in comparison to their competitors during periods such as the Asian financial crisis, the technology bubble or the current global financial crisis, they will be scored higher. According to Ms Mah, two funds - First State Dividend Advantage and Aberdeen Pacific Equity - are relatively resilient in contrast to their peers and the expense ratio is below 2 per cent in the last reported annual reports. The main purpose of the SRS account is to provide disciplined savings to accumulate funds for your golden years. It also helps cut your personal income tax, as you can claim tax relief on your SRS contributions, up to the maximum annual sum of $11,475. 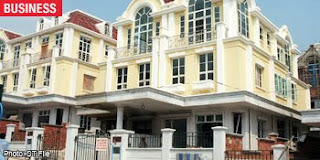 The contributions may be used to buy various approved investment instruments and the returns are accumulated tax-free. You can open an SRS account at branches of DBS, OCBC Bank and United Overseas Bank. However, do note that withdrawals from your SRS account before the retirement age of 62 is subject to tax and incur a penalty of 5 per cent. After the retirement age, withdrawals from SRS are still subject to personal income tax, but one can choose to spread the withdrawals over 10 years, and only 50 per cent of the withdrawals will be taxable. This means that a retiree who has no other income at the age of 62 will be paying zero or very low tax when he withdraws his SRS funds as he will fall under a low tax bracket. This reduces tax payable since it is a deferred tax scheme. At 50 per cent tax savings, SRS funds that are withdrawn over 10 years will incur zero tax if the chargeable amount for tax computation is less than $20,000. It is too late to contribute to SRS to enjoy the tax relief on last year's income but you have the whole year ahead of you to do so for this year's income. In current market conditions, it is essential to understand one's investment timeframe and objectives. Equally important is the selection of stocks that will meet one's investment goals, says Ms Carmen Lee, head of OCBC Investment Research. As market conditions are still fairly volatile, risks will continue to prevail. For investors with a lower risk appetite, it is advisable to invest in blue-chip companies with established business track records and sustainable business models. This is vital in recessionary market conditions, as it means that the organisation will have the right business models to ride out difficult times. Examples of blue chips are SingTel, M1, StarHub, SembCorp Marine, Singapore Press Holdings (SPH) and Straits Asia Resources. Other stock picks by Ms Lee include Ezra, Midas, Tat Hong, Pacific Andes and Sino-Environment. Companies that have been through a few business cycles are also better equipped to understand and deal with the challenges in a downturn. A good case to bear in mind is the Internet bubble in 2000-2001. Several high-profile Internet companies that mushroomed during that period are no longer in existence. Another factor to watch out for is the management of firms, since they are the drivers and executors of the business, says DMG & Partners head of research Terence Wong. It is important for the company to have a strong balance sheet and cash flows. Valuations tell you whether the stock is worth investing in. The company may have the best fundamentals in the market, but if it is overpriced, it is not worth investing in. Look at ratios like price-to-earnings or price-to-book and compare these guides to share values with industry averages. Looking ahead, Mr Wong believes markets are likely to get worse before recovering, as the reality of job losses, pay cuts and less-than-stellar economic figures hit home. 'In the near term, it is best to invest in some defensive plays such as SPH, StarHub and ST Engineering, while investors with a longer-term horizon can look at economic bellwethers, as they will be the first to pick up,' he says. Insurance is designed to protect against risk, because individuals who buy insurance are financially compensated in case of loss. Individuals who are concerned about potential risks pay insurance companies for protection against specific types of risk such as medical costs, car accidents, and many others. 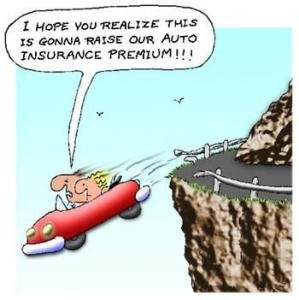 Purchasing insurance does not remove risk. It merely provides compensation for the loss and spreads the cost of sharing the risk. Because insurance in intangible – you cannot actually see or touch what you are getting – some individuals are not motivated to purchase insurance. Risks are intangible, too, and many times are not realized until you experience a loss or survive a close call. Risks, like life, depend on the circumstances that surround you. Although many individuals face similar risks, no one faces exactly the same risks. For example, although cars are fitted with air bags and seat belts to protect you in a collisions, someone who is 1.8m weighting 90kg will suffer different injuries than someone who is 1.7m weighting 50kg. Risk changes based on circumstances throughout your life. Your risks change as you become employed, change your marital status and number of dependents, and increase or decrease income and savings. • Transfer risk, by buying health insurance to compensate you for medical treatment for conditions caused by smoking. Dealing with risk by transferring it is the underlying principle of insurance. Insurance transfers risk. If there is a silver lining from the economic downturn, it is that people have been shaken out of their complacency. For many retail investors, it is a wake-up call that they must take charge of their financial planning and know what they are investing in. This mindset change was evident among the 700 participants at a financial literacy seminar in July. Held at Suntec, it was organised by the Securities Investors Association of Singapore (Sias) and supported by MoneySense and the Association of Banks in Singapore (ABS). 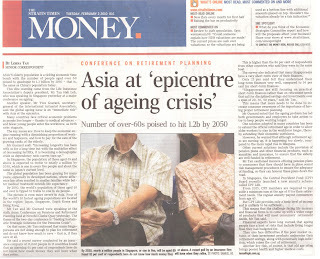 MoneySense is a national financial education programme launched by the Monetary Authority of Singapore (MAS) in 2003. It was part of a series of quarterly investor education seminars under the 'My Money' Financial Literacy Programme. The programme aims to help consumers become more informed and responsible investors by instructing them on the basics of savings and investment products. Singapore Management University senior lecturer of finance Ang Ser Keng as well as Mr Ng Teck Yaw and Mr Koh Keng Swee from ABS shared facts on bonds and life policies such as investment-linked insurance policies and how they can play a part in one's financial plan. They also spoke on managing one's portfolio via an asset allocation strategy. Sias president and chief executive David Gerald wrapped up the four-hour session by highlighting the importance of managing risk in investments through diversification. He also encouraged investors to learn about investing step by step and outlined the three dimensions of investing: Know yourself, know the products and know the strategies. I was one of four guest panellists during the question-and-answer session that followed, and the questions came fast and furious. It was clear from the queries that investors are adopting a more cautious approach to investing. This is understandable. After all, an investor may not know if he has an aggressive appetite until he experiences the volatility of the market first-hand. After having gone through one cycle of that in recent months, many investors should have a better understanding of their risk profiles now. Eager to minimise their investment risk, several participants wanted more information on 'safer' products like bonds, Singapore Government Securities and exchange-traded funds. One participant asked if unit trusts and exchange-traded funds helped in diversification. The answer from the panel was that they generally do. Another wanted to know if it made sense for him to have set up a 30-stock portfolio, and if he should reduce it to a more manageable size. He was advised to cap it at 10 stocks so that he could monitor it more effectively. Fast forward to November, and there have been encouraging signs that the economy is turning around. I can only hope that people will remember the lessons they have learnt and not let bad old investing habits return. Investors should assume an active role where their personal finance is concerned. Even if they leave their money to professional advisers and fund managers, they must monitor their investments regularly. There is no 'free lunch' in investing. The higher the potential returns, the higher the risk. Do not take on more risk than you can tolerate. Do not be attracted to an investment based on the attractive offers of potential returns alone. Find out and understand the risks involved. If you plan to invest your Central Provident Fund (CPF) savings, consider the interest you are currently earning, that is, 2.5 per cent per annum (pa) for Ordinary Account and 4 per cent pa for Special Account. From Jan 1 last year, the first $60,000 of your combined CPF balances, up to $20,000 from the Ordinary Account, earns an extra 1 per cent interest. What is your investment objective and time horizon? How much losses are you prepared to incur? Is the product suitable for you? Is the product provider and financial adviser regulated by MAS? Are there other alternative products? It is heartening and refreshing when consumers try to ask the right questions before channelling their money into investments. After all, it is only you who can make a significant difference to your financial health. International Women's Day is celebrated on March 8 so it's pleasing to report that women here not only feel more optimistic about the future after the economic woes of last year, but are also more proactive about setting themselves up for retirement. These findings - from recent surveys - show that women have made some progress in terms of personal finances. The Tsao Foundation-TNS annual Ageing Preparedness Survey polled about 300 respondents in the second half of last year, on how prepared they are for their retirement. Half of the 300 were female. It found that compared with the 2008 survey, more women believe that retirement planning is important, are saving actively and are realising they may have to work beyond 60. This is evidence of a trend in the right direction and shows that the importance of preparing for retirement is getting through to people, says the Tsao Foundation. Not surprisingly, the survey also notes that income security is the topmost concern for a happy retirement. 'It is heartening to know that preparing for one's retirement is increasingly becoming an important part of a woman's life,' says Tsao Foundation chief executive Tan Bee Wan. This is because women very often have to make sacrifices for their families and end up neglecting to care for themselves. 'Awareness is the first important step. Next comes action and that is to get themselves equipped with the necessary skills to prepare for retirement,' adds Dr Tan. Positive news comes from a second survey as well. The MasterCard Worldwide Index of Women's Advancement found that more women are taking charge in the household. Throughout the region, an estimated 66.5 per cent of women are taking on the role of decision-makers, up from 45.6 per cent last year. Conducted early this year, the biannual survey measured consumer confidence in 21 markets. Here are some things to consider for a woman reviewing her financial needs. Broadly, these differ from those of men because of a woman's physical makeup and her family circumstances. For instance, women live longer than men, earn about 20 per cent less on average and retire younger. They are more likely to work part-time and take time out to be caregivers. Women also tend to suffer from more debilitating diseases in old age. Financial experts highlight that women are more susceptible to critical illnesses. Besides, certain illnesses are more prevalent among females such as systemic lupus erythematosus (SLE), osteoporosis, arthritis and of course breast cancer. So while health insurance is important to everyone, women should ensure they have sufficient coverage against certain illnesses while they are still healthy. Besides critical illness plans which can be bought by men and women, the market offers plans targeted at women who wish to insure against female-related conditions. This is especially suitable for women who have a family history of female-related cancers, says Ms Cynthia Toh, senior executive life planner at Great Eastern (GE). To sweeten such plans, insurers may bundle extra benefits such as no claims discounts, additional critical illnesses coverage and other female wellness privileges such as biannual health checks. An example is GE's PinkLife health plan, which charges an annual premium of $970 for a 30-year-old female who opts for a sum assured of $50,000. Prudential Assurance offers a similar plan called PruSmart Lady II. Ms Toh says the main benefits of such plans are that they pay a lump sum upon the diagnosis of the specific female illnesses, provide for surgical procedures and even cover certain reconstructive surgery such as breast reconstruction. This is typically excluded in all hospitalisation plans as it is not deemed a medically necessary procedure to treat breast cancer. The downside is that these plans typically provide cover until age 65 and the sum assured is commonly capped at between $50,000 and $100,000, which may not be enough for the long-term treatment of advanced female malignant cancers. This is particularly so when prohibitively expensive drugs like Herceptin for breast cancer and Avastin for ovarian cancers are prescribed for treatment. PinkLife and PruSmart Lady II plans offer an option to insure mothers against maternity risks like pregnancy complications and birth defects of a newborn. By insuring against such risks before childbirth, parents have a safety net with cover for pregnancy-related conditions like stillbirth and miscarriage due to an accident. It also covers congenital conditions of a newborn and infant mortality. Prudential highlights that such birth defects are usually not covered when parents buy an insurance plan for the child after birth as the child has to undergo health declaration. The optional maternity risk cover also includes hospital care for the infant if incubation or intensive care is required. 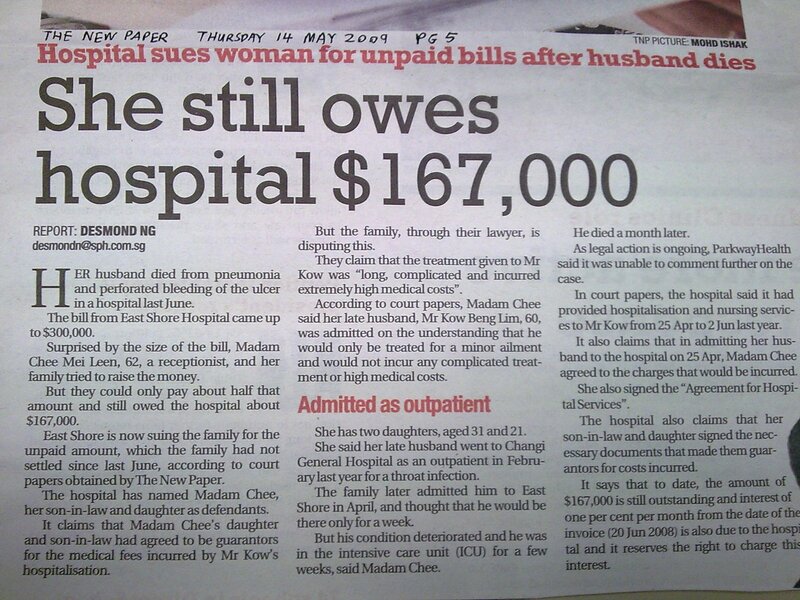 Both Mr Lim and Ms Toh stress that there are two types of disability plans. The first is an occupational disability income policy that covers an individual's income. With more women working and contributing substantially to the household income, such policies will certainly provide peace of mind, she adds. Such covers are offered by insurers such as Aviva, GE and Manulife. GE's Paysecure charges an annual premium of $1,192.50 for a 30-year-old female in an office job. This is based on a monthly benefit of $5,000. In the case of Manulife, the disability income cover is an optional rider. 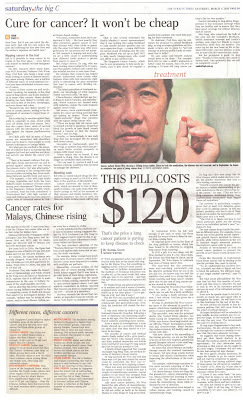 Mr Lim says the annual premium for a Manulife term plan with such a rider, for a sum assured of $1 million, is $2,024. This is based on a 30-year-old woman who opts for the cover to cease at age 55. The other is a severe disability plan for people over 40, and it aims to provide a rehabilitative income to cover the expenses on contracting severe old age disabilities. Besides offering the severe disability plan ElderShield, GE has a Long Term GoldenCare Policy where the cover is based on fewer restrictive health conditions. It charges a female who turns 55 at her next birthday $5,733.50 a year, for a monthly benefit of $5,000 for life. Other insurers that offer similar long-term care policies are Aviva and NTUC Income. If you are a housewife, it is only prudent to make sure that your husband has put aside sufficient insurance coverage for your family's financial needs if he dies prematurely or suffers from a disability. An economical way is to buy term insurance on your husband's life as it covers huge sums for a small annual premium compared with other plans like whole life and endowment. Another area often overlooked is mortgage insurance. If your house is not fully paid up, it is important to ensure the mortgage is adequately covered. Whether single or married, women should adopt a proactive attitude towards upgrading their financial know-how and managing their investments. Surveys show that women tend to be good savers and are more conservative in their approach to money. Mr Albert Lam, investment director of IPP Financial Advisers, cautions women investors that if they hold largely investments that are less risky in nature, it will not help them in the long run if the investments are unable to grow to the amount required for their retirement. 'Let's assume you leave $100,000 in a bank deposit now at an annual interest rate of 0.5 per cent. If inflation is 2 per cent, the sum will dwindle to $86,000 after 10 years. So safety need not always be the best thing. Inflation would have eaten away your principal,' says Mr Lam. He suggests that all investors look towards the mega trends of the future and invest in a portfolio of instruments that will ride on these trends. More savvy female investors can do their own homework and select individual stocks, blue chips or real estate investment trusts that pay out regular dividends as viable investment alternatives. Know the contents of your husband's will and make sure that he makes adequate provision, particularly if you are a housewife. Mr Lam advises married women to update their Central Provident Fund nominations as those done before marriage would have become void. And if you become a widow, remember to update your will on your husband's death so that your share of his estate will be distributed according to your wishes, says Ms Toh. If you have inherited wealth from your husband's estate, it is vital that you appoint an independent corporate trustee rather than an individual. Use a lasting power of attorney arrangement to direct the financial affairs and properties should you fall into dementia or suffer from other mental incapacities, says Ms Toh. This can also be done by setting up a living trust arrangement and designating professionals to handle the management of those assets in the event of disability or critical illnesses. 'Such an arrangement will ensure a continuity of a comfortable lifestyle even after your husband is gone and you are too sick to take care of yourself during your retirement years,' she adds. Learn the basics about disability insurance in a flash. Hear why disability insurance is so important, help demystify the disability insurance process and quickly provide you with a good understanding of important insurance terms and concepts. Think about your largest asset. Your home, car. Most people don’t realize that those things are purchase from your income. Your income is your largest asset. Think about how much you earn over a year. Think about it over a lifetime. If you are 25 years old and earn $50K per year, you will earn $2 million in 40 years. If you factor in inflation at 3%, it will be $3.8 million, twice as high. If your income is your largest asset, shouldn’t you insure it? You buy fire insurance just in case your home burns down, but your value of your home is less than the value of your lifetime income. You buy motor insurance just in case you get into car accident but your car is worth a minor percentage of your lifetime income. You have insured all the golden eggs in your life, but have you insured the golden goose? Disability insurance insures the goose. 1 Why do you say this product is suitable for me? 2 What type of product is this? For example, is it a life insurance policy, unit trust or structured deposit? Is it primarily for savings, investment or insurance protection? 3 What benefits does it offer? Which ones are guaranteed and which are not? 4 What instruments does the product invest in? How risky are these underlying instruments? 5 Is this product suitable for individuals with low, medium or high risk tolerance levels? 6 What is my risk profile? Even if it fits my profile, can I afford to take the risk and do I need to? 7 How much do I need to commit to this product? Do I make a one-time payment or regular payments? What happens if I subsequently find that I am unable to make the payment? 8 How long must I stay invested? What are the penalties, restrictions and procedures if I liquidate some or all of my investments earlier? 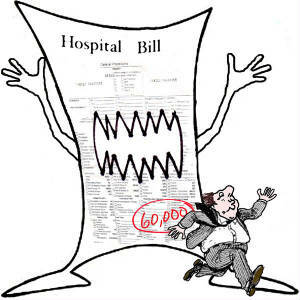 9 What are the various fees and charges? Does the product provider have the discretion to change the fees and charges at any time or is there a cap? 10 If the adviser recommends investing with Central Provident Fund (CPF) money, ask him how the returns offered by the product compare with interest rates earned by money in the different CPF accounts. 11 What alternative products offer similar benefits? How does the recommended product compare with alternative products? 12 If I were to buy the recommended product, how can I monitor the performance of my investment? What reports and updates will I get? And what is the frequency of these reports? 13 What if I find, after my purchase, that the investment product is unsuitable? Can I return the product and get my money back? If so, how soon must I inform the adviser of my decision to return the product? Are there any fees and charges? 15 Is the financial firm that you represent and is the product provider for the recommended product regulated by the MAS? What are the names, business addresses and permitted activities of the firm and the product provider? 1 What is my investment objective? For example, is it to grow the funds for my retirement or for my children's education? How much funds do I need to do this, and when do I need the amount back as cash? 2 How much can I afford to invest, after setting aside funds for daily needs and savings to provide for emergencies? Do I intend to invest in one single sum or fixed sums? Will the investment sum be paid out on a regular basis (for example, monthly, quarterly or annually)? 3 How much return on investment do I need - after taking into account the effects of inflation - to meet my investment objective? 4 What is my risk profile? The financial adviser should have a tool to assess each customer's risk profile. To do your own check, try out the Risk Tolerance questionnaire at http://www.cpf.gov.sg/. 5 Am I comfortable with the level of risk that comes with the product I am considering? How much losses am I prepared to incur? What are the potential losses in the worst-case scenario for the product I am considering? 6 Does the product meet my investment objective and needs? Which benefits are guaranteed and which are not? 7 What is the potential return offered? Is it realistic? Be careful of verbal promises and guarantees of high returns, say, anything above bank deposit rates. Make it a point to understand what is guaranteed and what is not, and to insist on a written confirmation from the adviser on any guaranteed returns or benefits. 8 When are the proceeds payable? Can I afford to stay invested for that duration? Do I need the proceeds earlier? 9 Will I be using my Central Provident Fund (CPF) money to invest? If so, how does the return offered by the product compare with interest rates earned by my different CPF accounts? Remember that money in the CPF Ordinary Account and CPF Special Account earns a minimum interest of 2.5 per cent and 4 per cent per annum respectively. They are both guaranteed and risk-free. 10 Have I read and understood all the information, including the prospectus/fact sheet/benefit illustration and product summary, contracts, warnings, exclusions and disclaimers, terms and conditions, relating to the product I am considering? 11 Are the financial firm that the adviser represents and the provider of the product I am considering regulated by the Monetary Authority of Singapore (MAS)? A list of financial institutions regulated by MAS is available in the Financial Institutions Directory at http://www.mas.gov.sg/. 12 Are there alternative products that offer similar benefits and risks to those of the product I am considering? How does it compare with these alternatives? Finally, compare key areas like the scope of benefits, risk levels and total costs. Insurance is Not Because Somebody Must Die, But Others Must Live. Life insurance is an expression of love and care for family. A policy brought with the sole benefit of the spouse and family put it in a class of its own like a stalk of red rose on Valentine’s Day. People might feel that purchasing various household items is a good expression of love and concern for the family. That is why people buy set of encyclopedia for their children, car for a more convenient form of transportation for family, piano for the musical benefit of children on installment. Everything will be all well when installments are being paid on time. But should something unexpected happen to the payer, every item brought on installment will be taken away, leaving broken dreams and unfulfilled wishes. Items mentioned earlier are tangible and can be of immediate use and enjoyment. However wise parent-provider makes provision beyond immediate gratification. Kids are told to study hard now so that life can be easier in the future. By having proper planning, parents are leading by example for their kids by taking care of the future today so future will take care of itself. With banks aggressively marketing their promotional packages, some home owners are looking into their current home loan interest rates and contemplating refinancing. Refinancing refers to a situation where the property owners move from one mortgage loan package to another with the intention of (1) saving money by reducing interest rates; (2) restructuring the loan by including cash term loan or overdraft facilities; (3) moving to a different loan structure, such as from the conventional interest rate package to one that is linked to the interest rate of a current account. Flexibility: If you are planning to sell your property in the short term - say in one year or so - you may not want to get into a new package that locks you in for a period longer than you intend to keep the loan. If you do go ahead, be prepared to pay a lock-in penalty which is usually between 1per cent and 2 per cent of the loan amount as well as 'claw back' amounts. The lock-in period is usually a percentage of the original or reducing loan amount. And claw back applies to the amount that must be returned to the lending bank should you terminate the loan. This usually includes legal subsidy, valuation, fire insurance or cash rebates. Certainty: If you are currently in a fixed rate package where there is certainty and predictability, are you comfortable about moving to a variable package with volatility and uncertainty? Variable loan packages linked to the Singapore Interbank Offered Rate or the Swap Offer Rate are key products offered by most banks. Before you sign into a seemingly attractive loan rate from a competing bank, check if your existing lender can offer you the same rates or terms that first drew your attention. Most lenders - once they know their borrowers wish to refinance - will be inclined to beat their competitors, particularly if the client is one with good financial standing and payment record. For clients without fantastic payment records, it may be difficult to refinance as the new bank may not want to take them in. In such situations, there is more reason for the home owner to try to negotiate for better rates from his existing lender. To keep loans that they might otherwise lose, many lenders have loyalty programmes designed to recapture borrowers who are determined to refinance. If you are currently in a lock-in period, it may be more advantageous to stay with your current bank and re-negotiate rates as moving to another bank may be costly. For instance, you have to incur a settlement cost with your existing lender before you move to a different bank and this may include a lock-in penalty and claw back amounts. Sometimes, the new lender may entice you by offering to pay the penalty subsidy, that is, absorbing all your present settlement cost. But this often comes with conditions, such as longer lock-in periods, some up to seven years. Moreover, if you are not looking to take any cash out of your home loan but only seeking to reduce the interest rate, the lender may elect simply to reduce the interest rate on your current loan rather than refinance. This avoids all settlement costs except for some charges required for changing the contract. Most banks do expect their existing client to re-negotiate loan rates. As such, they have in place a standard 'rate change package'. However, though the rate offered by such packages is usually lower than your existing rate, it is higher than current market rates offered to new customers. For example, if the market loan rate is 2 per cent, the lender might offer you 3 per cent because your mortgage rate is currently 4 per cent. But a similar borrower moving to another bank may be offered 2 per cent. In addition, you may not get the best service from your existing lender, since there is little incentive for the lender to close a deal at a lower mortgage rate than previously. This may not be deliberate but new loans are generally being signed faster than re-pricing loans. However, of late, most banks have set up a special re-pricing team and hence service levels for existing customers have improved. Refinancing with the same bank is not cost-free either, as most would charge at least $500 to $800 to cover costs like the mortgage stamp fee. On the flipside, most banks offer a legal subsidy to new customers who are refinancing. So as long as the refinancing results in net savings, the client will consider doing so. Finally, do note that whether it is re-pricing with the current bank or refinancing with another bank, once you have signed the Letter of Offer, there is no turning back and the cancellation penalty kicks in if you change your mind. People are living longer thanks to medical advances. 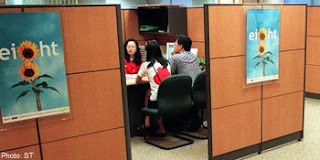 However Singaporeans are not doing enough to plan for retirement and do not know how much to save – that is provided they do save at the first place. Majority are not aware of how much money they need for retirement. Most of them are focusing on practical short-term finances rather than retirement needs which requires discipline savings and investments over a long span of period. CPF launched a new annuity scheme CPF Life but it can provide only a basic level of income and is likely to be insufficient. Awareness of the importance of having proper retirement planning must be increased. One key risk is poor health and higher medical costs brought by old age. By making sure it is well covered, you can provided money from your retirement funds from going into a surgeon’s income. Will you Enjoy Retirement or Retire From Enjoyment? Have you heard the saying “Good things come to those who wait”? This may be true in some aspects of life, but it won’t get you far in retirement. Waiting too long to save for retirement is likely to lead to working longer or pinching pennies all through your 50s or 60s in a last-ditch effort to build your retirement fund. Even in your teens, begin to develop a retirement strategy. Learn the basics of personal finance and begin your savings plan. Personal finance knowledge will not only help you plan for retirement buy also help you become a wise consumer before you buy a car or get a credit card. Remember, before you can make complex investments, you need to know how to plan. And before you can plan, you need to develop financial skill. You need to know how to save. It may be difficult to try to save for your retirement if you are struggling to pay university tuition fee, build a business, buy your first HDB, or start a family. Buy if you begin in your late teens or early 20s and put $10 a week into your retirement fund (savings account), and keep putting it there for the next 30 or 40 years, you will have accumulated an impressive total because of the power of compound interest. Saving money early is the single smartest thing you can do to help secure your retirement. Compound interest (interest paid on the ever-increasing total of principal and interest) is an effective tool for saving. The weekly amount you save is not necessarily as important as the fact that the money compounds for three or four decades. Start saving early, and your retirement savings will surpass those of your peers who put away much more a week, but do not start saving seriously until their late 30s or 40s. If, as your earning power grows, you deposit larger amounts into your account, and keep doing so, you can accumulate a sufficient amount for retirement. Remember, you must make wise decisions early in life regarding projected savings for retirement. You must investigate savings for retirement and the cost of education for you and your dependents. Thai Insurance Commercial - "My Son"
The one time business consultant Alan Kok decided not to buy personal travel insurance when he and his wife went to Bangkok for their wedding anniversary recently turned out to be the time he needed it the most. Stuck in the Thai capital for two extra days because of the demonstrations at the airport which forced it to close, his wife fell ill with food poisoning. But all he could collect from the company's insurance was a meagre $50, which covered only a third of his wife's medical bill. 'If I had known my company's insurance, which covers my wife and I, was so inadequate, I would have made sure to buy my own,' said the 33-year-old, who was shuttling to and from Bangkok last month for business. 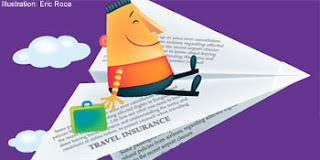 The wave of people stranded in the city due to the recent riots and the even larger wave of ticket cancellations from those who had booked trips there highlighted the importance of buying travel insurance. Travellers often neglect to do this until the eve of departure and insurance companies say this should not be the case. Travel insurance should be the first thing that people buy the moment they confirm their travel bookings. 'This will ensure they are covered for the loss of deposit paid if they need to cancel their trip due to unforeseen circumstances such as riots or natural disasters,' said Tenet Insurance divisional manager for personal insurance Koh Yen Yen. Travel insurance premiums can cost anything from $24 to $365, depending on the type of policy, duration and location of the trip. These policies usually cover overseas medical expenses, loss of baggage and flight delays. While illness and airport incompetence may happen more often than riots and strikes, having travel insurance can come in handy when the unexpected happens, as in the recent airport shut-down in Bangkok. While almost all insurers do not cover loss or damages in what they define as 'war activities', most include acts of terrorism in their packages. However, they are not liable to insure if the attacks involve nuclear, chemical or biological warfare. While most will just take a one-size-fits all package, customers should check the terms and conditions of their travel policy if they want specific risks to be covered, such as trip cancellation and curtailment, said Mr Pui Phusangmook, NTUC Income's senior vice-president and general manager of its general insurance division. Travellers should also look out for advisories against travelling to certain countries issued by the Ministry of Foreign Affairs. 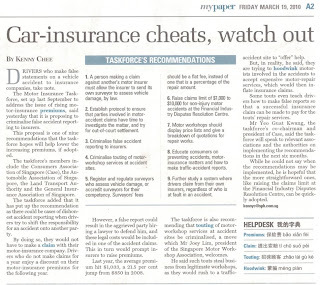 If they insist on travelling to these places despite the ministry's advice not to, their insurance company will not pay for any losses or injuries suffered overseas, said Tenet Insurance's Ms Koh. But for those who choose to cancel, the insurance will pay for the non-refundable portion of a paid travel package, such as airline, hotel accommodation and cancellation charges. 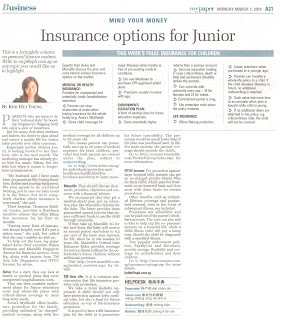 To get around the hassle of having to buy insurance every time she travels, Ms Jennifer Ang pays $370 for an annual international travel insurance package with American International Group (AIG). It is not being stuck in a country during a riot or violent situation that she fears, but the risk of a personal accident and a huge overseas medical bill. 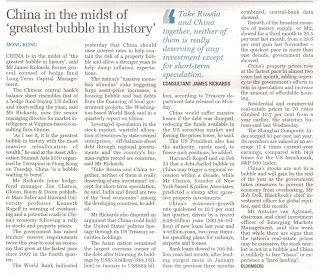 This article was first published in The Straits Times on Dec 9, 2008.